Black women are often dismissed or ignored by medical care providers. Williams wasn’t an exception. A new Vogue profile of Serena Williams sheds light not only on the health risks that can come with childbirth, but also how those factors — coupled with racial bias in the medical field — can have dangerous, even life-threatening results for black women. In Vogue’s February cover story, Williams recalls dealing with serious complications shortly after the recent birth of her daughter, Alexis Olympia. Williams explains that the problems started the day after her daughter’s birth by Cesarean section, when Williams felt short of breath. Due to her history of pulmonary embolisms (Williams underwent emergency treatment for a life-threatening embolism in 2011), the tennis star quickly alerted a nurse about her symptoms. Williams adds that she continued to have problems after this scare. Williams coughed frequently due to the embolisms, and the coughs were forceful enough to cause her C-section wound to rupture. When she went in for surgery, doctors found that a hematoma had filled her abdomen, a result of the blood thinners. A filter was placed into one her major veins to keep more blood clots from traveling to her lungs. When she finally returned home, Williams needed six weeks of bed rest. Williams’ harrowing account places her among the 50,000 women (an estimate that researchers say could actually be on the low end) in America who deal with dangerous or life-threatening, pregnancy-related complications each year. Black women are disproportionately likely to face these complications, and they are also more likely to fall victim to America’s ongoing maternal mortality crisis, being three to four times more likely than white women to die from pregnancy-related complications. ProPublica and NPR, which have collaborated on an in-depth maternal mortality reporting project, note that many of these deaths are largely preventable. But due to the impacts of systemic racism and discrimination, including in the care provided by the medical system, black women remain more likely than any other group to die from their pregnancies. 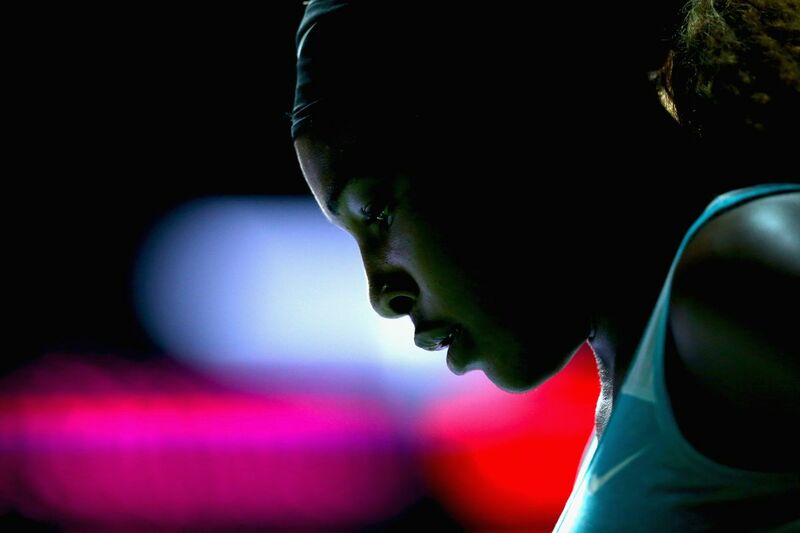 As many black women on Twitter have noted, Serena Williams’s story shows just how hard it can be for black women at all levels of society — including elite athletes known the world over — to get the care they need. The US has very high maternal mortality rates compared to the rest of the developed world. As Vox’s Julia Belluz has reported, overall maternal deaths have been on the rise in the US, increasing by 27 percent, to 24 deaths per 100,000 births, between 2000 and 2014. Belluz notes that this rate is more than three times the maternal death rate of the United Kingdom, and about eight times the rate of Netherlands, Norway, and Sweden. In recent years, a growing number of maternal health-focused organizations and academics have dedicated more time and resources to better understand the crisis. There is still plenty that we don’t understand, particularly when it comes to the growing gap between the deaths of black mothers and their white peers. According to the CDC, from 2011-2013, black women experienced roughly 43.5 deaths per 100,000 live births on average, compared to 12.7 deaths for white mothers. Research has shown that a number of factors, including poor access to pre- and postnatal care, chronic stress, the effects of racism, and inadequate medical treatment in the years preceding childbirth are all likely to play a role in a black woman’s likelihood to suffer life-threatening complications in the months surrounding childbirth. The maternal mortality disparity might appear to stem from economic differences, but research has found that black women in higher economic brackets are still more likely than white women to die from pregnancy- and childbirth-related problems. The health department has even mapped where the most maternal harm occurs, dividing the city into community districts. The highest rates of complications are concentrated in a swath of land in Central Brooklyn, in an area largely untouched by the wave of gentrification that has swept other parts of the borough. Here, mothers face up to four times the complication rates of neighborhoods just a few subway stops away. In all, black women are 243 percent more likely than white women to die from pregnancy- or childbirth-related causes, producing one of the largest racial disparities in women’s health, according to ProPublica. The American health care system has a long history of disparate treatment of black women, whose health struggles have been systemically minimized or dismissed, funneling them into medical facilities that are less equipped to handle their pregnancies. The feeling of being devalued and disrespected by medical providers was a constant theme. The young Florida mother-to-be whose breathing problems were blamed on obesity when in fact her lungs were filling with fluid and her heart was failing. The Arizona mother whose anesthesiologist assumed she smoked marijuana because of the way she did her hair. The Chicago-area businesswoman with a high-risk pregnancy who was so upset at her doctor’s attitude that she changed OB-GYNs in her seventh month, only to suffer a fatal postpartum stroke. This tracks with Serena Williams’s story about her pregnancy, leaving some observers to note that black women can’t escape skepticism, even when the topics in question are their own bodies. A growing number of black doulas and midwives have stepped in to fill the gapleft by inadequate medical care, but activists argue that hospitals and doctors must also work harder to protect black mothers. It seems that they can start by listening to them.